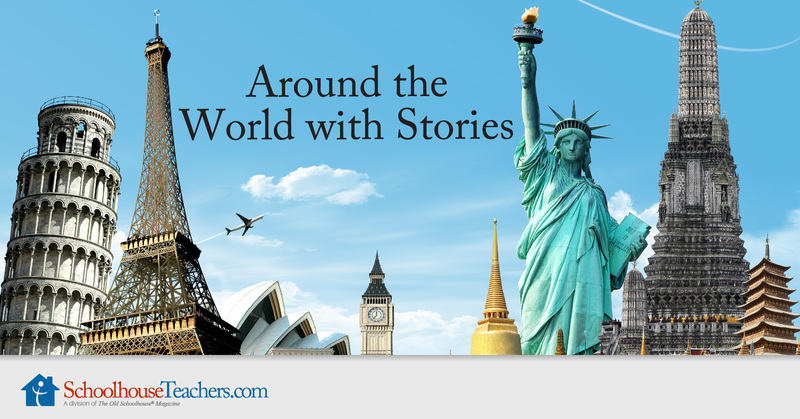 Around the World with Stories is a fun preschool around the world homeschool course. It introduces preschoolers to opposites, taste, smell, texture, shapes, numbers, and more while taking them on a quick trip around the world with stops in Australia, India, Southwest Asia, China, Africa, Canada, Italy, and Mexico. This preschool around the world homeschool course introduces students to opposites, taste, smell, texture, shapes, numbers, and more while taking them on a quick trip around the world. Preschoolers can learn about ways animals move, numbers one to five, opposites, place and position words, shape, size, taste, smell, textures, and time in this fun preschool around the world series. Trek Learns to Fly: Trek Learns to Fly introduces children to Trek and his friends. Join them as they learn about migration and flight. Trek Learns About Moving Around: In Trek Learns About Moving Around, Trek and his friends find themselves in the Australian bush, helping a young Aboriginal boy look for his boomerang. They ask several other animals to help in the search. They all set off through the bush, each character moving in its own, individual way. This story introduces different ways of moving and the vocabulary used to describe these movements. Trek Learns About Numbers: Trek Learns About Numbers introduces children to the numbers one to five as Trek and his friends join in a big parade in India. Along the way, there are things to look at and count. At the end of the story, Trek takes a photo of the group. Here the words “one” to “five” are brought together with the numerals 1 to 5. This is an opportunity for children to count, match, and sort. Trek Learns About Opposites: In Trek Learns About Opposites, Trek and his friends are having a bad day. Each time they plan to do something, the opposite happens. Children will enjoy joining in the repeated phrases and trying to guess what the opposite might be. Trek Learns About Shapes: In Trek Learns About Shapes, Trek and his friends travel through China and solve a number of puzzles. Trek succeeds in solving the puzzles by looking at the shapes of everyday objects. As children read through the story, they look for and name four basic shapes—circles, squares, triangles, and rectangles. Trek Learns About Size: In Trek Learns About Size, Trek flies away to Africa in a hot-air balloon. Far below, on the grassy plains, he sees many animals of different sizes. Trek’s adventure provides many opportunities to explore the ideas of size. Both the vocabulary and ideas of size are extended by comparing and contrasting the different animals that Trek encounters. Trek Learns About Taste and Smell: In Trek Learns About Taste and Smell, Trek and his friends suddenly feel hungry. They land in a Canadian forest where Wagtail, Crow, and Seagull find plenty of tasty food to eat. But Trek is not tempted by any of it. Many other animals offer Trek a share of their food. Each time, the animals describe the smell and taste of the food they like. But Trek doesn’t like any of the animals’ food. Finally, Trek meets some people camping in the forest and is invited to share their delicious supper. Trek Learns About Texture: In Trek Learns About Texture, Trek and his friends visit Signora Pittipatti’s restaurant in Italy. Here, they feast on a selection of leftover food that Signora Pittipatti offers them. Each of the birds describes the food it is eating. The birds talk about their food using words to describe texture—rough, dry, crumbly, soft, cold, crisp, chewy, slippery, wriggly, hard, juicy, crunchy, smooth, and creamy. All these are words that children will enjoy hearing and repeating. Trek Learns About Time: Trek Learns About Time describes the adventures of Trek and his friends during one day in Mexico. The story uses familiar time concepts such as “time to get up” and “bedtime.” These ideas are linked with the hands moving on the clock. The clock helps young children to understand that time is something we measure and that we use a clock to organize our activities during the day. 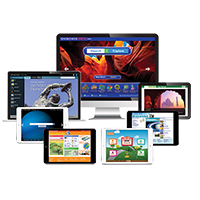 Would you like to tell others about this preschool around the world homeschool course?